Do You Really Want to Buy a Condo? 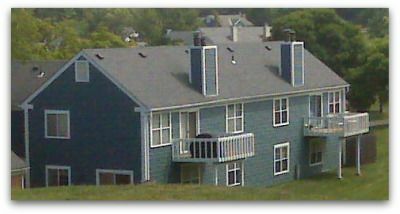 Condo living appeals to all age levels, incomes and lifestyles throughout the greater Cincinnati real estate market. A home of your own with having to worry about cleaning gutters, cutting grass or anything else outside your front (and back) door. And according to the Multiple Listing Service of Greater Cincinnati buyers have approximately 1282 condos to view ranging in price from $2000. all the way to $3,300,000. The first thing just about every potential condo buyer asks about is “how much are the condo fees”?. Often when they hear a high dollar amount- they move on to the next listing. That may be a huge mistake. Condo fees combined with sound fiscal planning is what potential condo owners should be concerned about. If you’re serious about buying a condo-ask to see the Association’s financials. You want to see a good size “reserve fund” to handle updating, roads, maintenance and so on. If the reserves are minimal- you may be facing special assessments to handle future issues. Remember most purchase contracts include clauses requiring the seller to provide a copy of the “condo docs” which the buyer has a few days to review. Honestly most buyers just glance at them- I strongly suggest you take the time to read the document and question items you don’t understand.